It’s now less than two months until the GDPR (General Data Protection Regulation) comes into force. Much of the content of this new standard is already enforced through the existing Data Protection Act but there’s one area causing a lot of noise: the newly strengthened regulations on email marketing, or, as it’s become known, ‘consent’. 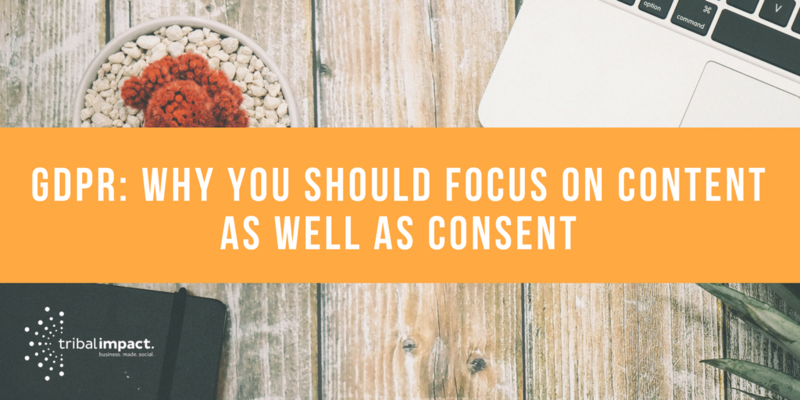 GDPR sets a high standard for consent. As the ICO explains, consent now needs to be explicit. To achieve that, you need an engaged audience and, if you can’t achieve that, you need to consider an alternative, legal, method of reaching out to your contacts. It’s understandable that, at first glance, businesses are concerned that their contact databases will diminish overnight. The reality, however, is that anyone who doesn’t give explicit consent to be contacted probably isn’t a fan anyway. Rather than worrying about losing potential customers, businesses should see GDPR as a fantastic opportunity to embed a new method of customer engagement: one that uses great content and social advocacy to really sell the value of their brand; one that doesn’t need consent or sign-ups or even a list. The ICO talks about GDPR putting people at the centre of the business relationship through demonstrating good customer service. We already know that social business equals inbound business. 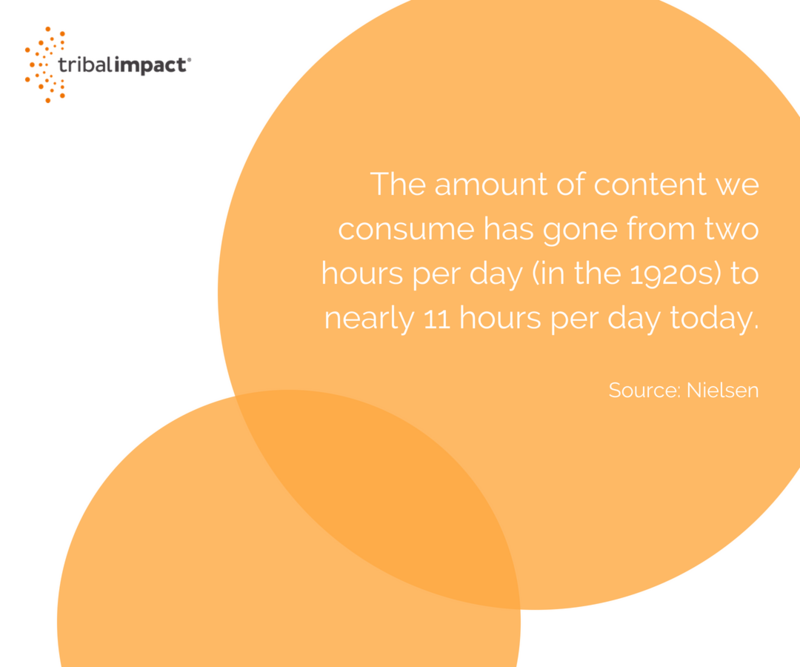 According to Neilsen, the amount of content we consume has gone from two hours per day (in the 1920s) to nearly 11 hours per day today. So, why the fuss about sending targeted content to potential customers? The big factor here is choice. People choose to view content that appeals to them; they choose to follow brands that interest them. Their choices might change according to whether they are getting involved in a new hobby, or in the process of replacing their kitchen. They don’t want to be dictated to. The buying cycle has changed. People are researching, learning and educating themselves. They shortlist who they want to speak to so brands – and sales teams – need to enter the conversation a lot earlier. Businesses who recognise this change can use GDPR as a springboard to transforming their sales processes from ‘spray and pray’ email campaigns into social selling. They can use social advocacy and great content to connect with their audience and nurture deeper relationships with their customers and prospects. Let’s face it, as businesses, we should all be aspiring to improved engagement, better reputations, greater customer confidence and trust. These are the things the ICO cites as outcomes from the new GDPR legislation. They also happen to be the outcomes of adopting a social selling programme. According to Forbes, sales reps using social media as part of their sales techniques outsell 78% of their peers. That’s pretty compelling stuff. It’s time to think of 25th May 2018 as the dawning of a new era. We should let go of our fears of shrunken databases, lay waste to the email campaigns and get social.